This pattern is usually referred to as The Small Tuscan Pattern ("Toscane formato piccolo"). It emerged during the 18th century and gradually replaced earlier designs. The full-length courts are dressed in Venetian Renaissance costume. Packs usually have 40 cards. 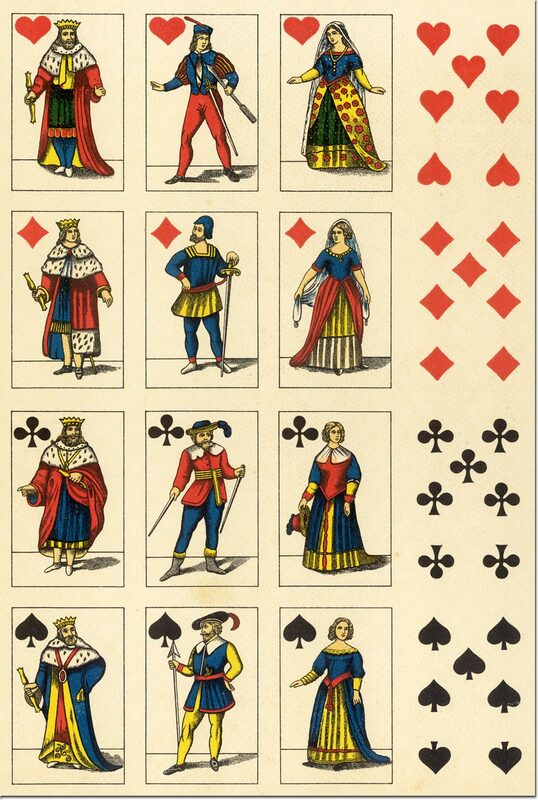 The cards shown on this page are from an uncut sheet by Edoardo Pignalosa, Rampe Brancaccio 76, Napoli, c.1946. 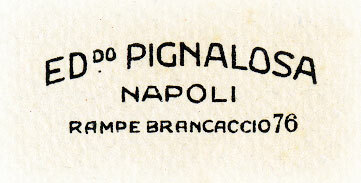 Above: Small Tuscan pattern from uncut sheet by Edoardo Pignalosa, Rampe Brancaccio 76, Napoli, c.1946.